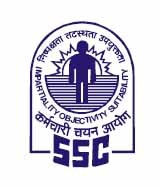 SSC has published the result of Paper I of Junior Engineers (Civil, Mechanical, Electrical and Quantity Surveying & Contract) Examination 2017 on 13.04.2018. Now the Commission has uploaded the marks of Tier-I Exam. The Descriptive Paper (Paper-II) of Junior Engineers Examination 2017 will be conducted on 29.04.2018.